Join us in the breakfast room for our morning buffet. 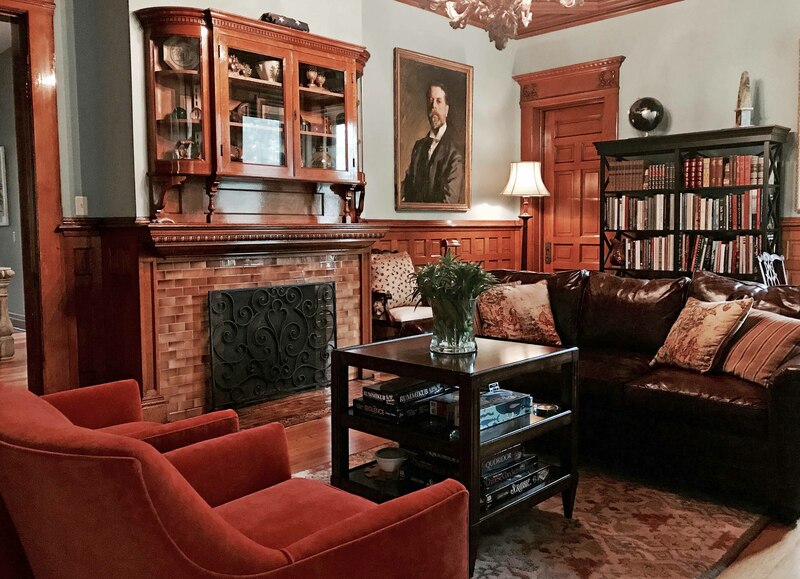 Sit by the fireplace in our cozy library. Castle La Crosse, located in beautiful Wisconsin, is an historic three-story home built in 1891. Our home has an intriguing story to tell, and we would love to share some of that history with you. 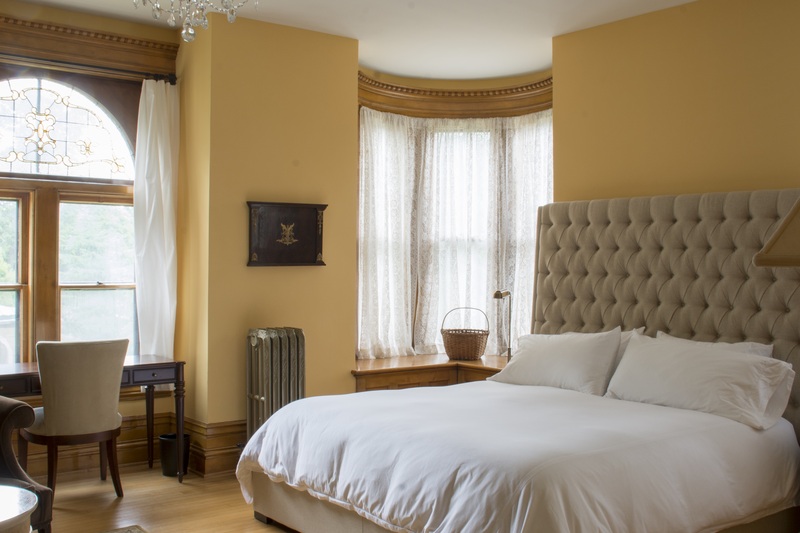 Castle La Crosse is a grand bed and breakfast featuring numerous bedroom suites with private luxury baths and finely carved fireplaces. Beautiful leaded, stained-glass windows adorn the property. A library and music room are available for the enjoyment of our guests. to check on room availability. 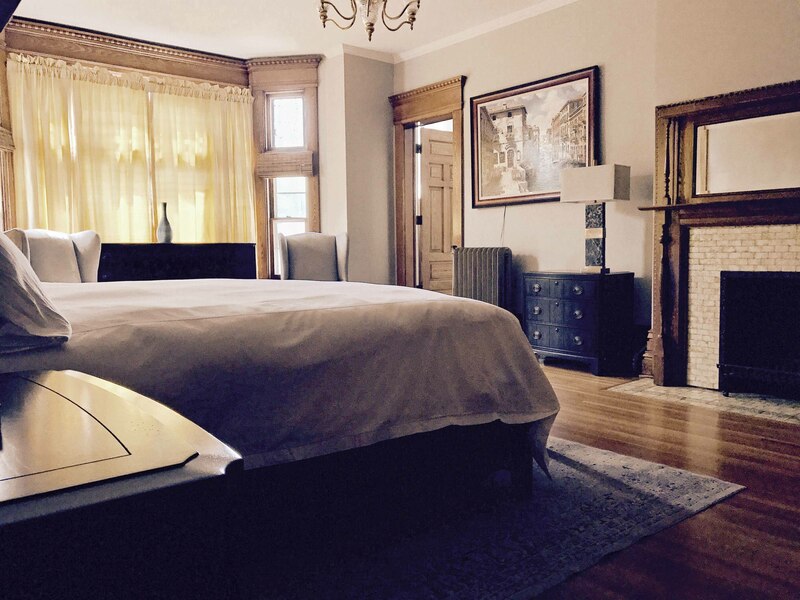 Castle La Crosse features five cozy guest suites, each with private baths. The rooms are named for the exquisite woods used throughout the home. Enjoy The Oak Room, The Walnut Room, The Maple Room, The Birch Room, or The Mahogany Room. Breakfast is included in your stay at the Castle. 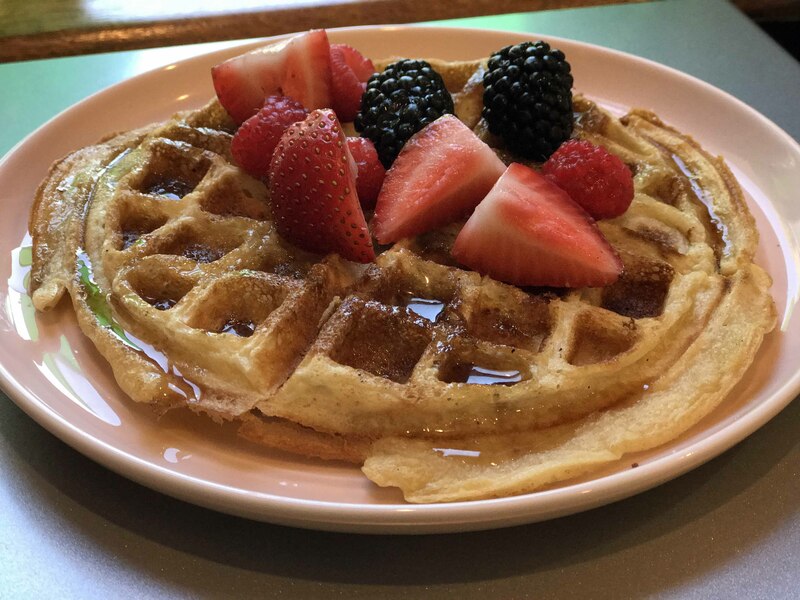 Enjoy a fresh, hot, delicious breakfast each morning. Coffee and tea are available bright and early in the Drawing Room. Another benefit: Free Wi-Fi throughout the castle! 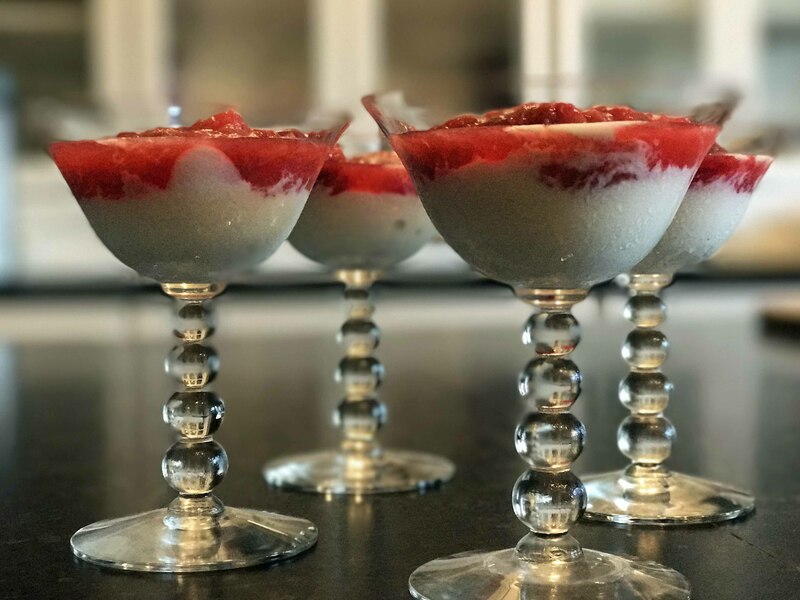 our breakfasts are a culinary delight! 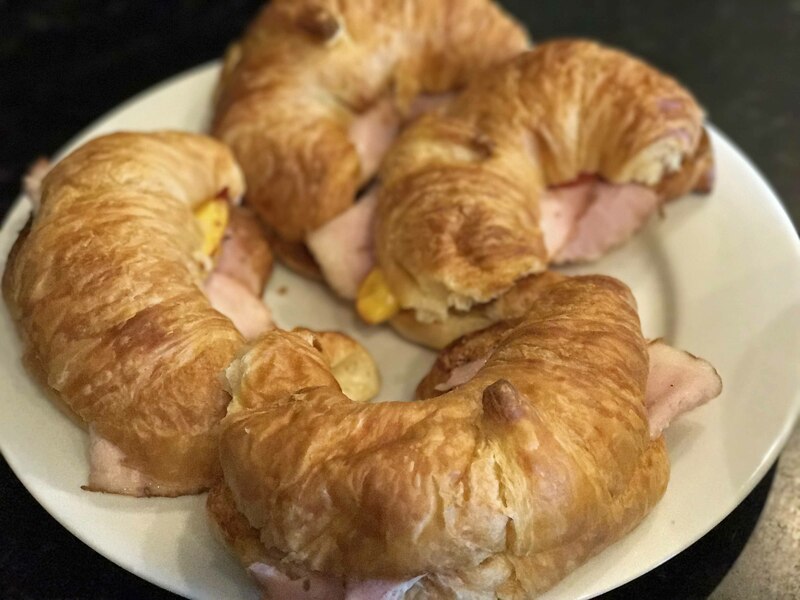 Ham and Egg Croissants: a Delicious start to your day! Dining at the Castle truly is a culinary delight, so fuel up for your day with a fresh Castle La Crosse breakfast! We offer locally roasted coffee, freshly baked goodies, and a hearty main course. Your breakfast at the Castle is delicious, creative, and casual. We are committed to serving local and farm-to-table ingredients whenever possible, and are proud to support many area farms. Breakfast is served in our Grand Dining Room from 8:00 to 10:00 am. Coffee, tea, and juices are available at 7:00 a.m.
With special arrangements, you may also dine in our Library or Drawing Room. Breakfast is always included with your stay at the Castle. Awesome new B&B for a getaway from the Cities. 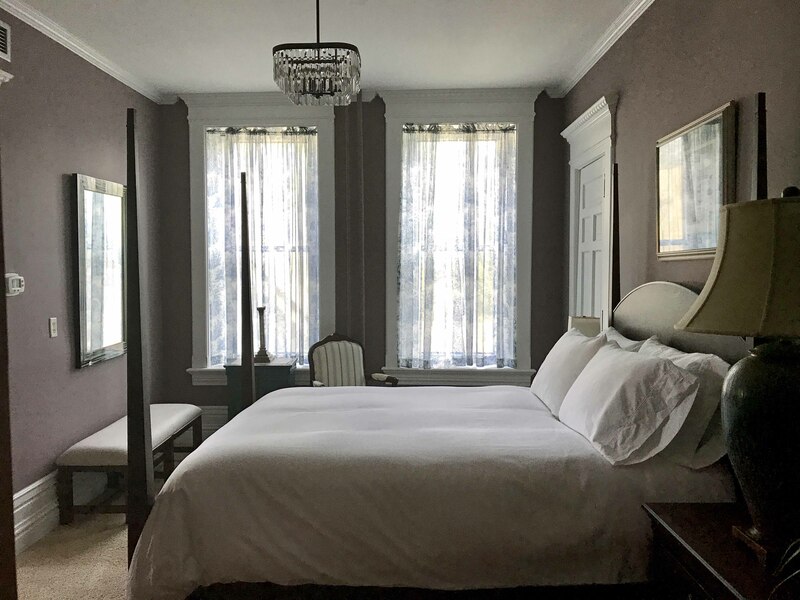 It's beautifully restored and very close to downtown and restaurants. Highly recommend! 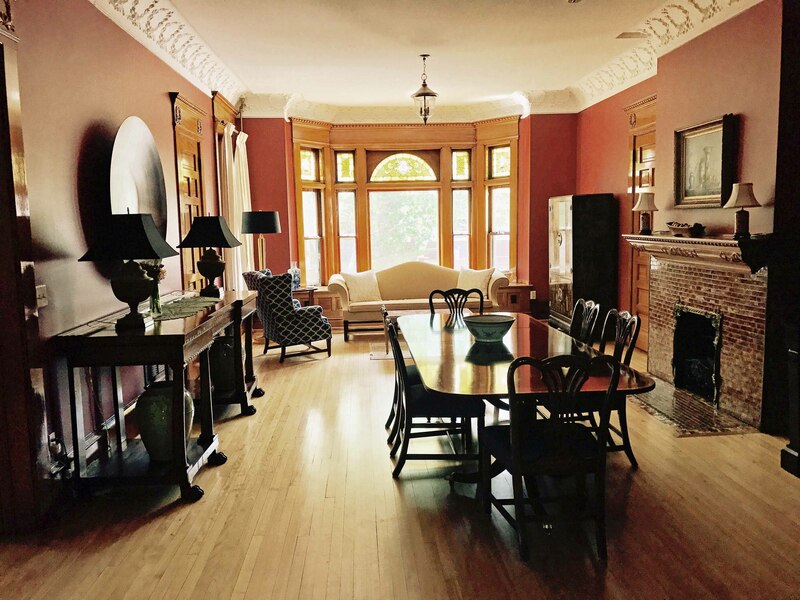 Wonderful old Richardson Romanesque Queen Anne mansion built by a lumber baron a century ago. Spacious, beautifully furnished, elegant rooms. Billy and Brandon are gracious hosts and will make you feel right at home. The breakfast was exquisite. We will be back. Such a beautiful place to stay! Rooms are amazing! Very comfortable and relaxing. We had a wonderful breakfast on the patio, and the owners are great! Can't wait to stay again!! Perfect for romantic getaways,historical vacation tours and friends and family visits. This was our breakfast this morning: Gluten free for me and vegan for another guest. Each dish was delicious and lovely. Thank you Brandon for each step you took to create this feast! The added touch, breakfast on the front terrace! Our stay was wonderful!